The H&V Leadership Conference will be in Washington DC this year. Registration and more info coming soon. Sponsors and Exhibitors can register to support the conference now. 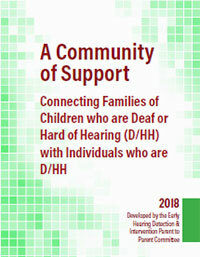 Have you ever met a Deaf or Hard of Hearing Teen or Adult in your journey of raising your own D/HH child? Check out these links to get some great insights from the experts. These documents and links are referenced in the H&V Educational Advocacy Guidebook. the O.U.R. Children's Safety Project. We don't like to think about it, but our kids who are deaf or hard of hearing are at a higher risk for both abuse and neglect. Like any children, they are at risk. VIDEO: LOSS & FOUND™ tells you what to do if your baby didn’t pass the newborn hearing screen. The Loss & Found DVD is now available for purchase in the generic version. Please click here to order. When Hands & Voices first started out, we were constantly asked if we really believed an organization could be unbiased about communication modes and methodology. Ten years & thousands of members later, we've proved it can be done. Here's how. Guide By Your Side™ is a Hands & Voices program that embodies our strong values of direct peer connections and networking. It promotes self efficacy and hinders isolation by exploring our common bond, shared experiences, challenges, wisdom and insight. Hands & Voices is dedicated to the development of innovative products which reflect our mission. Here are some recommendations. The Book of Choice is a wonderful expression of what we know to be true: parents sharing directly with other parents of children who are deaf or hard of hearing bring an essential kind of hope, inspiration and empowerment. NEED SUPPORT FOR THE TEEN YEARS? Hands & Voices Post-Secondary Transition On-Line Module for Parents and Their Teens. Hands & Voices is excited to announce the release of their online learning tool specifically for parents and their teens who are Deaf of Hard of Hearing as they begin this new journey into post-secondary transition. NEW guide for systems thinkers and parents! 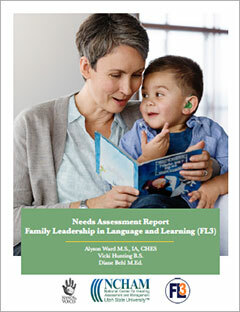 Hands & Voices is proud to sponsor the Deaf Education web site, www.deafed.net, which enhances the teaching, learning and performance of children who are d/hh. Please join the 33,000+ individuals who are already registered users of the Web site. Together we CAN make a difference. 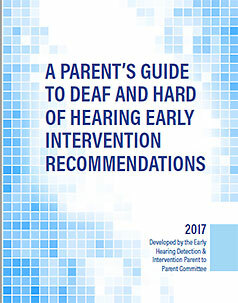 EHDI-PALS (Early Hearing Detection & Intervention Pediatric Audiology Links to Services) is a web based directory of information, resources and services for children with hearing loss. Got Questions? View our 2017 / 2018 Annual Report.